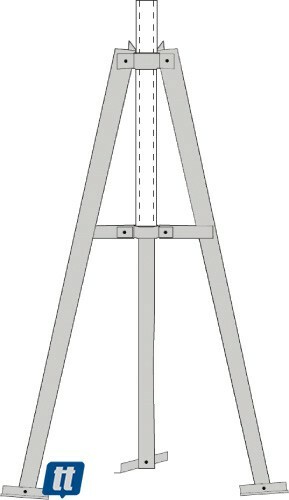 The Rohn TRTAG2 is a heavy-duty roof tripod. Constructed hot-dip galvanized steel angle. Includes 2-3/8" O.D. x .154" wall x 3.5' hot-dip galvanized steel mast. Mounting feet rotate to accommodate any roof pitch.